Functionality and design all in one. 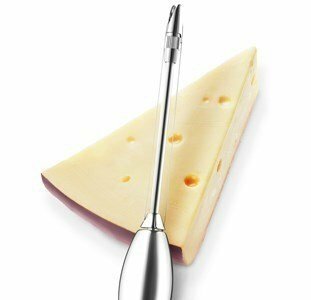 With soft and organic curves, the cheese slicer is easy to use, due to its ergonomic handle. It is designed to cut both thick and thin slices of cheese, collect them with its "fork", at the tip of the slicer. The perfect slicer to serve cheese at your table!